Authentic Geek! 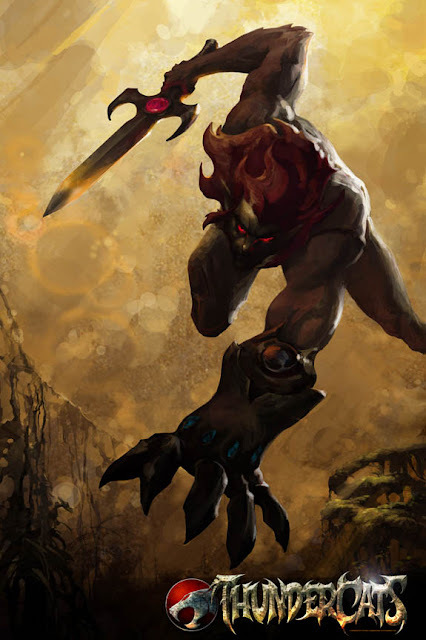 : Thundercats On The Comeback Trail or "Thundercats HOOOOOly Crap, They're Back?!?" Thundercats On The Comeback Trail or "Thundercats HOOOOOly Crap, They're Back?!?" That's right, "Thundercats", one of the best examples of '80s animated cheese and one of my personal all time faves, is making a comeback! Cartoon Network (TELETOON is our Cartoon Network in Canada) will be producing an all new animated series to be broadcast some time next year. 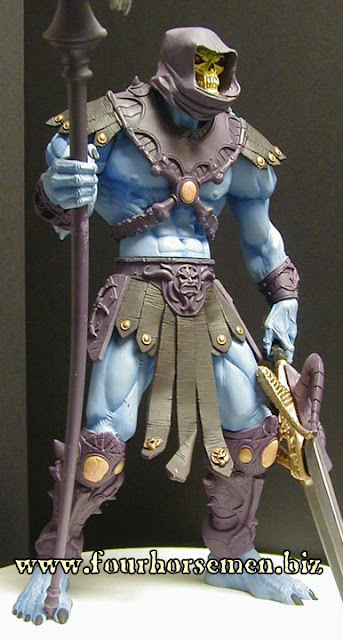 This by itself is VERY cool, but I also found out that a company called Icon Heroes will be producing 'staction figures'(action figure sized statues) for the new series, similar to what the Four Horsemen did for the 2003 "Masters of the Universe" animated series. I mean, check out the detail on their version of Skeletor! My childhood lives again, which is so very cool. All I need now is for Earle Hyman (Bill Cosby's dad on 'The Cosby Show') and Larry Kenney to reprise their roles of Panthro and Lion-O respectively. And for the Thundertank to make a comeback. Oh yeah, that would be SWEEEEEET!